Isabelle Alford-Lago Adds Mural to Topo Ranch on Abbot Kinney - Yo! Venice! 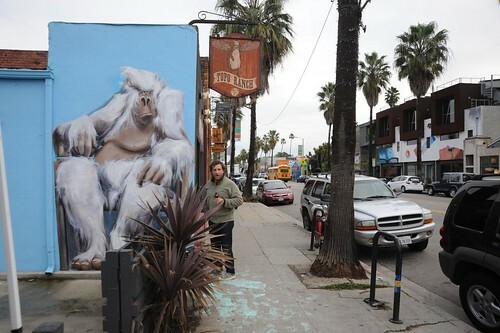 Venice muralist Isabelle Alford-Lago has added one of her “Gorilla” pieces to the side of the Topo Ranch store on Abbot Kinney. Isabelle says “the Gorillas are a satirical representation of classic portraiture, using an unlikely subject to portray real human emotion and individualized presence”. Alford-Lago’s public “Gorilla” murals can also be seen at 76 Market, 904 Pacific, 64 Windward and 38 20th Street.